A few decades ago, the listed price of a hotel room was the amount that you paid, and any unexpected fees slipped into your bill at the end of your stay would have been unusual. Today, hidden hotel fees are the norm. A room that seemed like a great steal may turn out to cost much more than advertised when you’re charged for basic services and amenities you thought came standard. To avoid an unpleasant surprise at check-out, research these common hidden fees before planning your next trip. Resort fees may be one of the sneakiest ways that hotels trick customers into paying more. Here’s how they work: On a booking search engine or a hotel’s website, a certain room may be listed for a flat rate—$150 a night, for example—and you book it because it falls right within your budget. Then, when you arrive at the hotel, you're charged an extra $50 a night. In the past, resort fees were exclusively charged by actual resorts in order to help maintain expensive facilities like fitness centers and tennis courts. But now, even budget hotels are tacking the charge onto their bills to cover basic (and sometimes unnecessary) services such as Wi-Fi, newspapers, phone calls, and faxes. The fee may only add up to a couple bucks per night or as much as $65. To see if you’re being charged a resort fee, read the fine print before booking as the extra cost often isn’t included in the total price. A quick way to inflate the price of your hotel room is to bring an extra guest along for your stay. If a room is meant to fit two people, inviting in a third adult may cost you an additional $20 to $50 for every night they’re there. (Kids can usually get away with staying without the extra charge.) Give the exact amount of guests when booking to get an accurate price, and if you plan on sneaking someone in, just be aware that you might end up with a surprise on your bill if you get caught. If you’re traveling for work, or if you can’t go more than 24 hours without Netflix, make sure Wi-Fi is included in the cost of your hotel room before you reserve it. Many places offer complimentary Wi-Fi, but there are plenty of popular chains and luxury hotels still charge up to $20 a night just to browse the internet. Check a hotel’s Wi-Fi policy before you book, or if you want to save some cash, be prepared to stay unplugged for the duration of your stay. Are you taking your car to the hotel? Leaving it in the parking lot may come at a high price. Some hotels in major cities offer valet-only parking, which can cost upwards of $75 a night. Then, there are the hotels that charge all their guests an automatic parking fee whether or not they parked their car there. If you find that you’re being charged for a parking spot you never used, ask the hotel if you can get the fee removed from your bill. And if you do have a car you need to find space for, save some money by leaving it in a public parking garage that’s not far from the hotel property. Checking in to a hotel room before the agreed-upon time—even if the room is ready—could land you with a fee up to $50. This one can be avoided easily by killing time leading up to check-in, but fees for early check-out are a bit trickier. If you find yourself in a situation where you need to end your scheduled hotel stay a day early, you may be asked to pay between $50 and the cost of a full night. Safes are one of those hotel room staples that many guests rarely use. Regardless of whether you touched your safe between check-in and check-out, some hotels may charge you just for being in the same room with one. At some budget hotels this fee can come out to about $1.50—just small enough to go under your radar when the bill is calculated. But if you do notice that you’ve been charged a safe fee, don’t be afraid to contest it. 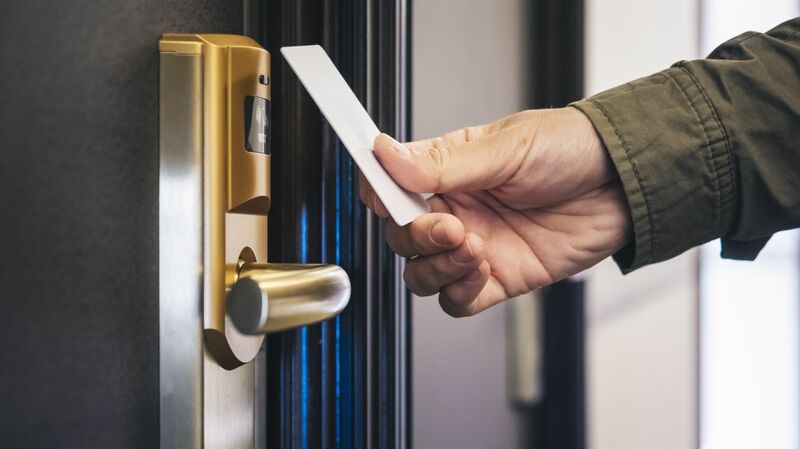 It may be hard to prove you never used one, however, so it’s best to ask a hotel if they have a safe fee in advance when possible. Finding a pet-friendly hotel may not be enough if you want to take an affordable vacation with your four-legged friend—you also need to research any potential pet fees the hotel charges. Some hotels ask customers with pets to pay a flat “cleaning” fee of $50 to $100 even if their pet didn’t make a mess. Other hotels charge on a nightly basis, usually between $10 and $25. Fortunately there are plenty of hotels out there that try to appeal to pet owners by waiving these extra fees and even offering pet beds and treats. You may think that complimentary coffee first thing in the morning is the very least a hotel can offer, but even that can have a hidden cost. Some hotels have started charging guests a few extra dollars just for using the coffee makers in their rooms. If you read the fine print on your hotel bill and see the words “coffee-maker fee,” you’re better off scrounging for free coffee in the lobby.